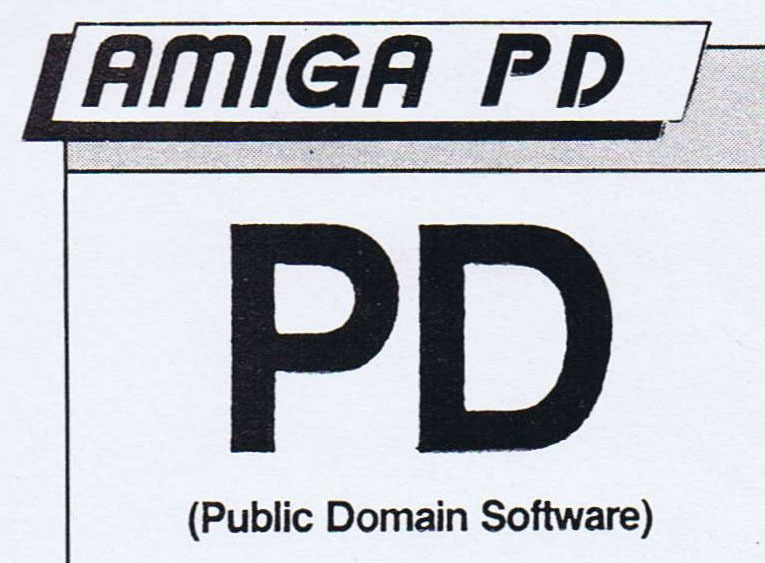 Before our illustrious managing editor coined the ‘Free, Gratis and Practically For Nothing’ title for my monthly series of review features on public domain and shareware software, such reviews were simply headed ‘Amiga PD’. 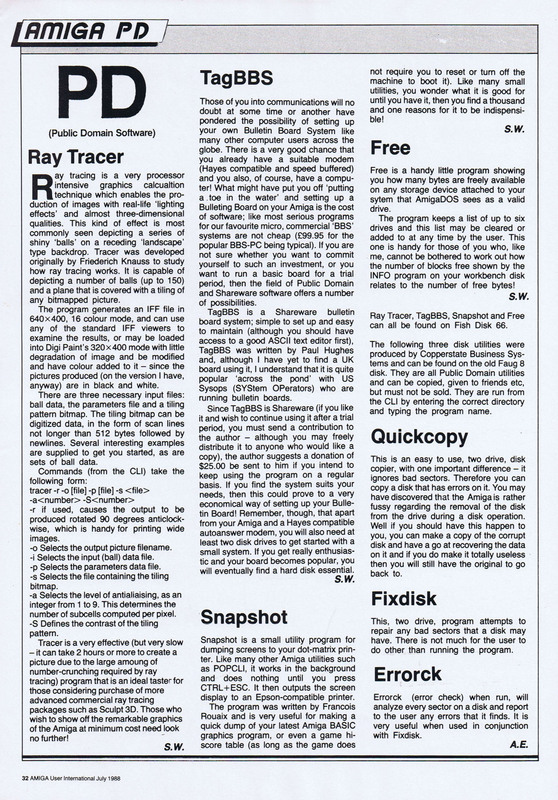 The July 1988 reviews in Amiga PD were almost entirely written by me, as you can see, and it was one of the first, if not the first, to be slotted in as a ‘Constant Factor’ on the contents page. After this it was not long before I was asked to write a regular monthly PD feature, and apart from the odd occasion I did so until I ceased writing for Amiga User International in mid 1990. Click on the preview image below to get the full page image.